(rollover image) How Is Bicuspid Aortic Valve Treated? In most cases, a bicuspid aortic valve does not require any treatment in childhood. A pediatric cardiologist will make specific recommendations for activity restrictions for each patient if valve narrowing or leakage occurs. In general, no other special precautions are required other than regular follow up with a qualified cardiologist. To evaluate the bicuspid aortic valve, the cardiologist follows the patient every 1-5 years with non-invasive tests that might include an electrocardiogram (ECG), echocardiogram, and stress test. In cases where the narrowing of the aortic valve becomes severe, a balloon valvuloplasty or valve replacement operation (e.g. 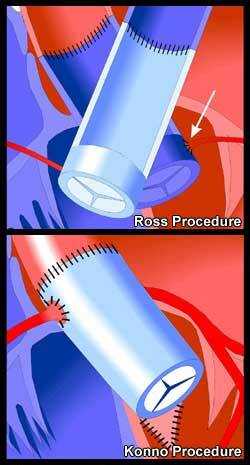 Ross, Ross-Konno Procedure, or prosthetic valve replacement) may become necessary.